Traumatic brain injuries (TBIs) are a contributing factor in 30% of all injury deaths. The IPRC develops and tests interventions to improve prevention and management of TBIs. Our research program focuses on sports-related TBIs. Over the past two decades, IPRC Investigators and colleagues in UNC’s Matthew Gfeller Sports-Related TBI Center, Department of Exercise and Sport Science, have conducted numerous studies that have led to key policy changes, including passage of the 2011 Gfeller-Waller Concussion Awareness Act in North Carolina and changes to the kick-off distance in football to lessen impacts on special teams. This formative work was published in the Journal of American Medical Association (Guskiewicz et al, 2003), the Annals of Biomedical Engineering (Ocjewa et al, 2013), Pediatrics (Mihalik et al, 2010), and Journal of Head Trauma and Rehabilitation (Register-Mihalik, 2011). Melissa C. Kay is a fourth-year doctoral candidate in the Interdisciplinary Program in Human Movement Science and an IPRC Graduate Research Assistant. She graduated from Indiana University with a Bachelor of Science in Athletic Training in 2013. In May 2015, she received her Master of Science in Athletic Training from A.T. Still University. While completing both degrees, her primary athletic training responsibilities were caring for football and men’s basketball teams. Her research interests include general and concussion-specific sport safety and sport culture, the interdisciplinary clinical team, and using mixed-methodological research approaches. Several TBI research studies jointly conducted by UNC’s IPRC and the Matthew Gfeller Center involved data collection in local area schools. 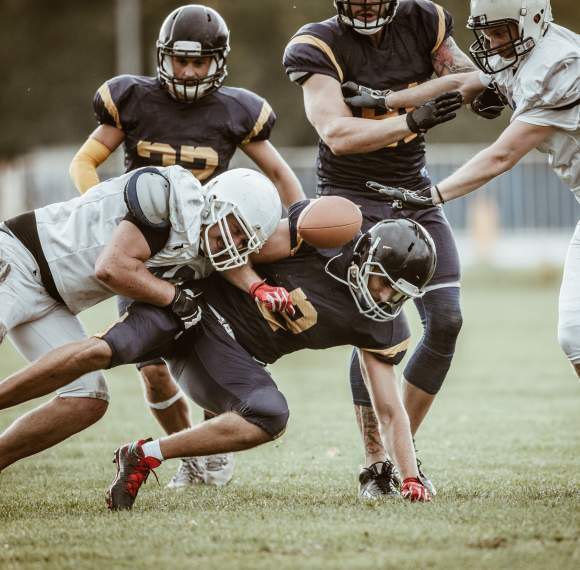 Research clinicians from the Gfeller Center provide clinical support and scientific expertise to the athletic trainers in these schools and assist with collecting pre-season baseline measures. In keeping with our Center’s commitment to engaged scholarship and equity in research, we utilize research designs that maximize the benefits to the schools and the athlete-participants.